Plain white papered cupcake liners adhere better than decorative ones. 2 How Long Can Cupcakes Be Stored After Baking? Cupcake liners keep the cupcake moist and facilitate handling between baking, decorating and serving. After you’ve found the perfect cupcake liner and followed your recipe you might find your liners are peeling away from the cupcake. The reasons for peeling are many, but there are ways to combat the issue and keep your decorative liner in place. Avoid baking when humidity is high. Excess moisture, combined with the heat from the oven, can create a steam effect that causes your cupcake liners to peel away. If you have to bake on a humid day, remove the cupcakes from the pan immediately and set them on a cooling rack to prevent as much steam as possible from disrupting the liners. Don’t spray cupcake liners or muffin tins with cooking spray. This excess grease seeps into the cupcake batter and liner, causing them to separate. Don’t underbake your cupcakes. Underbaked cupcakes are moist and gummy and they don’t set with the liner during baking. Test the doneness of your cupcakes before removing them from the oven by inserting a toothpick into the center. Look for a small amount of crumbs that stick to the toothpick to show they’re ready to remove. Overbaking your cupcakes can also cause the liner to peel away, so bake until done and remove. Let your cupcakes cool completely before storing them. If cupcakes are not at room temperature before being stored, the liners can pull away from the cake surface. Use paper or foil cupcake liners, because they stick to cupcakes better. Wax and glassine liners don’t show grease marks, but easily pull away from the cupcake because of their smooth, stick-free surface. 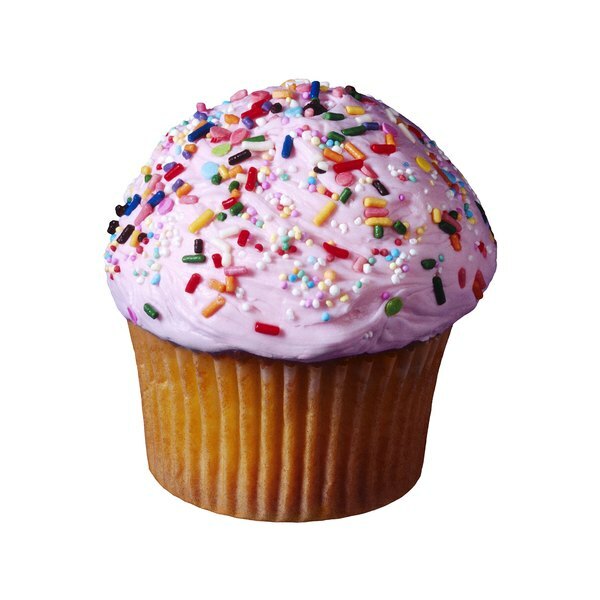 Fill your cupcake liners to the proper height so that your cupcake rises above the top edge of the cupcake liner. Doing so keeps excess moisture and steam from pooling at the top of the liner and causing the liner to peel away. Recipes vary on how much they rise during baking, but filling your cupcake liners at least two-thirds full is a good rule. Use a cupcake recipe that yields a tender crumb but isn’t overly moist. 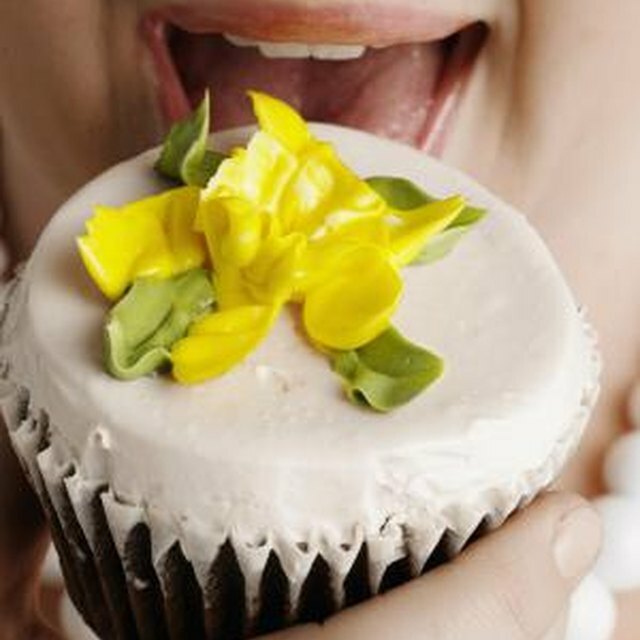 Cupcake recipes that contain pudding, fruit or purees add excess moisture between the cupcake liner and cupcake itself, causing it to peel away even after it is baked and cooled. Do Cream Cheese-Filled Cupcakes Need Refrigeration?